The Sahara Desert is of strategic interest to many governments, both African and Western. The geostrategic position of the region has made it a central point throughout history, but recent events have brought it under the negative spotlight of the media. The Sahara is back in the headlines following the kidnapping of seven employees of French nuclear energy giant, Areva, five of whom are French; one is Togolese and one Malagasy. The unfortunate event occurred in Northern Niger, near the mining town of Arlit, at the heart of Touareg country. Al-Qaeda in the Islamic Maghreb (AQIM) claimed responsibility. Niger is one the poorest countries in the world in spite of having the second biggest uranium resources. The northern part of the country has been facing chronic instability in recent decades – this is due to two main factors. Following decolonisation, the Touareg, a nomadic people in the majority in the Sahara Desert, have spread out across several countries including Niger and Mali, where they have become excluded minorities. 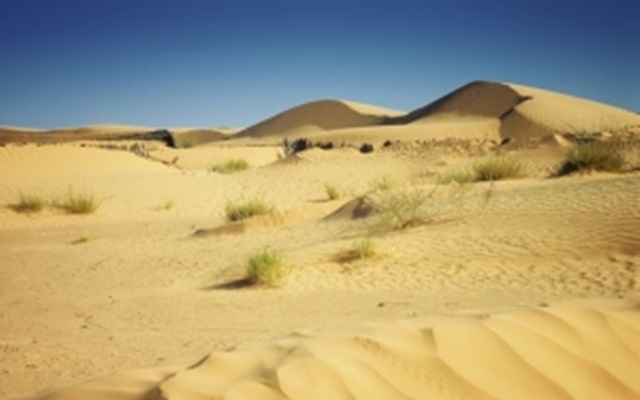 The Touareg have accused Areva and the Nigerien government of excluding them from the benefits generated by the uranium mines – not to mention the ecological problems that have resulted from the exploitation. During recent events, a statement from the Malian President, Amadou Toumani Touré, and the French Minister of Interior, Brice Hortefeux, suggested that AQIM “subcontracted” the abduction to the Touareg. However, the Touareg as a community have always insisted they have never taken part in any criminal activities despite their resentment. It would be impossible to claim that no Touareg has been involved but speaking of the Touareg as a single entity and linking it with AQIM, is not only unfounded but also damaging to the Touareg people. If a French national were involved in a terrorist organisation, no one would declare “the French” to be part of such activities. But what seems paradoxical is that the very word ‘terrorist’ is a product of our social order. Due to complex power relations, our society creates what it calls terrorists. It is the current political and economic context that determines who will be labelled as a terrorist or as freedom keeper. In other words, a bomb in the streets of London is a criminal act but killing innocent people in Afghanistan is an act of peace. Terrorism is only the consequence of the problem not the source. But our governments are not considering this side of the equation, or are more disposed to ignore it. Their solutions favouring of the use of force have and will only lead to more tensions, more socially excluded and discontented people. They have become ideal targets for criminal organisations which threatens the West that engages more force, producing an endless cycle. The question that should be asked is what is really at stake in the Sahara? The region’s soil contains two of the most sought after natural resources: uranium and oil. The so-called energy crisis generates great interest, especially in the oil domain. Episodes such as the weapons of mass destruction in Iraq or the ongoing war in Afghanistan, clearly demonstrate an imperialistic enterprise. Now Iran has become the new focal point and the Sahara is not too far behind. The Guardian reported on September 20 that France had launched an anti-terror plan in Niger with the blessing of the Nigerian government, and in spite of the official line insisting on negotiations. France, in conjunction with Mauritania, had already attempted to rescue another hostage in the region a few months ago but the operation failed miserably. The soldiers killed a few AQIM members but the French humanitarian worker Michel Germaneau died soon after. AQIM promised there would be retaliations. The US has also had a presence in the region for some time and particularly since the creation of Africom (US African Command) in 2007. Its foreign policy has for many decades been portrayed as a battle between good and evil. The ‘enemies’ who used to be Soviet ‘terrorists’ have now become Islamic. The ‘global Islamic threat’ is another element in the global war on terror policy that has been in place since 9/11. But asserting that Al-Qaeda, led by Osama Bin Laden, is behind all the wrong-doings in the world is not only simplistic but groundless. All the more so since the link between AQIM and AQ in the Middle East has yet to be established. Historically, the Saharan people have never been united but now they must overcome their differences, and come together to present their side of the story to the rest of the world.